Theater in the Now: Broadway to Be Frozen? 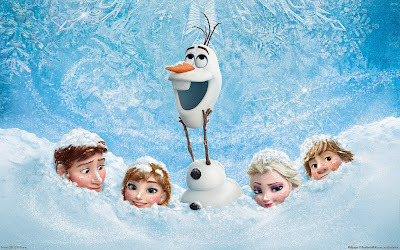 Disney's hit animated movie musical "Frozen" will be getting the Broadway treatment according to Disney CEO and chairman Bob Iger in an interview with "Fortune." Iger said they are "not demanding speed, we're demanding excellence" so Broadway's "Frozen" (not to be confused with Bryony Lavery play of the same title) could be years away. "Frozen" is Disney's biggest hit since "The Lion King." With so many Broadway veterans involved with the movie (with songs written by Bobby Lopez and actors including Idina Menzel, Jonathan Groff, Josh Gad, Santino Fontana, and Alan Tudyk, among others) it begs the question, will they appear as their character on the Great White Way?